KATHMANDU, July 30: In the first convention of the Association of Nepali Tourism Journalists (ANTOJ) State 5, a new committee of 15 members has been formed under leadership of Bhuwan Karki. The committee includes Beni Madhav Basyal as the Vice President, Bishnu Khanal as Lady Vice President, Kapil Gyawali as General Secretary, Bhuwan Rayamajhi as Secretary, Yamkala Bhusal as female Secretary and Bhupal Thapa as Joint secretary. Likewise, Hem Tyagi, Goma Bhattarai and Radhika Bhusal have been selected as general members. Likewise, Garina Belbase, Babita Bista are included as female members and Dinesh Kumar Shrestha, Sita Bika and Abhishek Rawal are included as indigenous member. 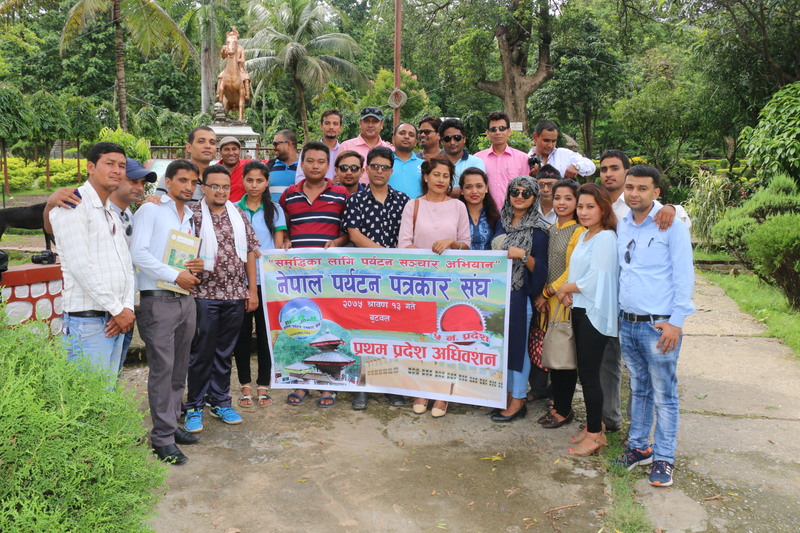 In the opening ceremony of the convention, Environment and Forest Minister Lila Giri said that they are planning to establish the state as the tourist hub.